We are always hiring for our field and fabrication shop roles in HVAC, plumbing, sheet metal and pipe fabrication trades. Additionally, we recruit for sprinkler fitters, special hazards, fire equipment and building controls technicians. 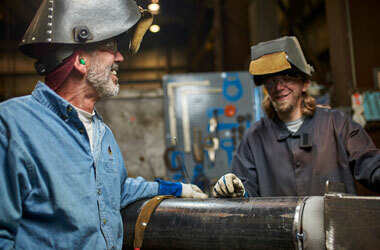 Ahern is always seeking outstanding people to join our Skilled Trades/Craft Positions team. Join the Ahern Talent Network today to stay up-to-date on our current openings for Skilled Trades/Craft jobs as they become available!